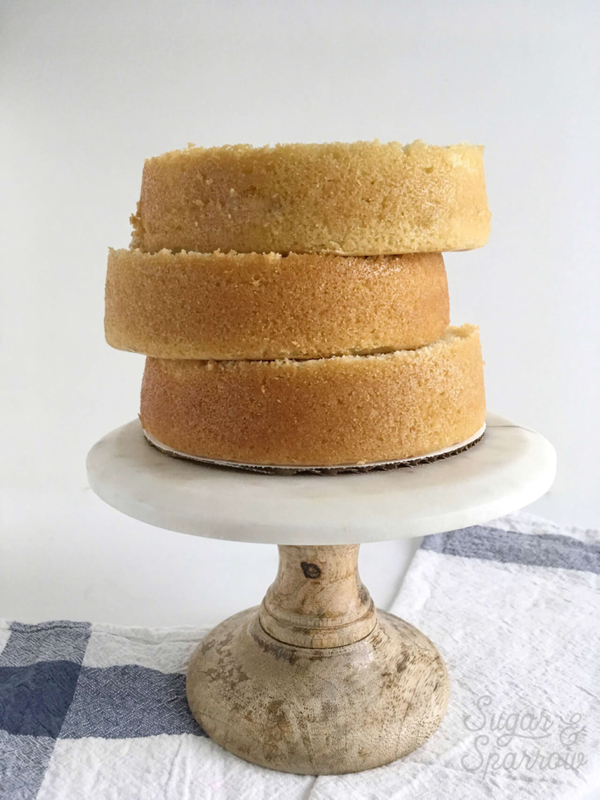 Call me a perfectionist, but I am always smitten by cakes that come out of the pan so perfectly baked that the sides are straight and sharp. Maybe it’s because I’ve seen so many cake pan horror shows in my day (my own in the early days, and every now and then via photos my friends share with me). Just a few months ago a friend texted a photo of her husband’s birthday cake post-oven and it was a doozy. Even though she greased and floured the sides of the pan, for some reason the cake decided to stick to bottom of the pan and leave her with a crumbled mess. All the buttercream in the world couldn’t hide it’s imperfections. 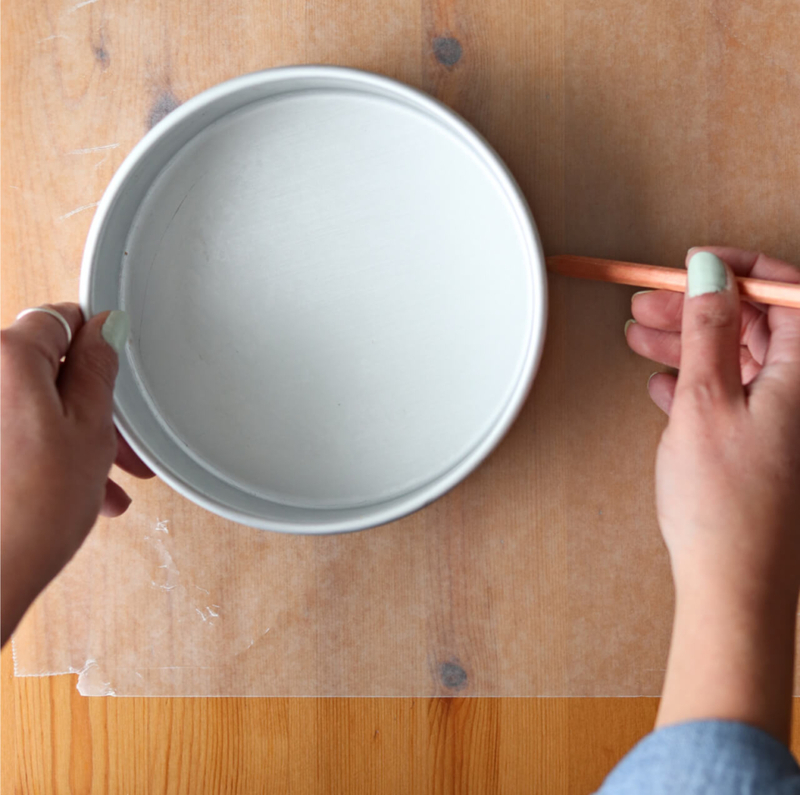 Placing your cake pan over a clean sheet of wax paper, use a pencil to trace the edge. Cut out your circle and you’ll have a perfectly-sized barrier for the bottom of your cake pan. Over a sink, spray the sides of your cake pan so they’re lightly coated. 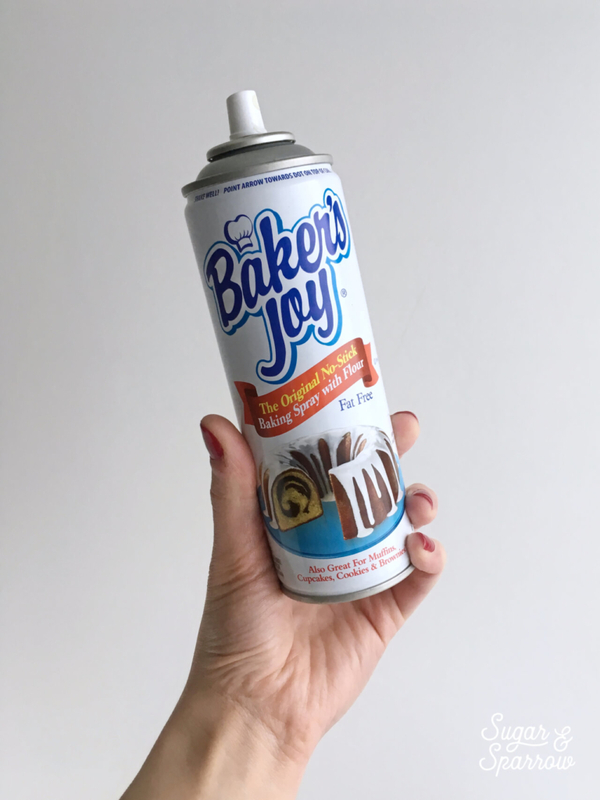 Baker’s Joy is my favorite, but you can use canola oil, Pam, or any sort of oil/spray designed for greasing a cake pan. 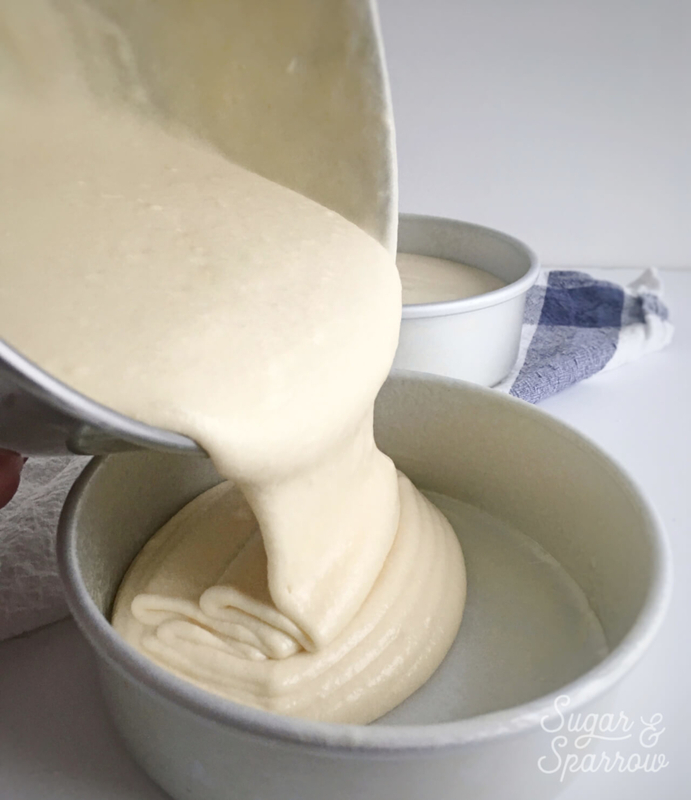 After your sides are sprayed, place your wax paper circle on the bottom of the cake pan before pouring your batter in. 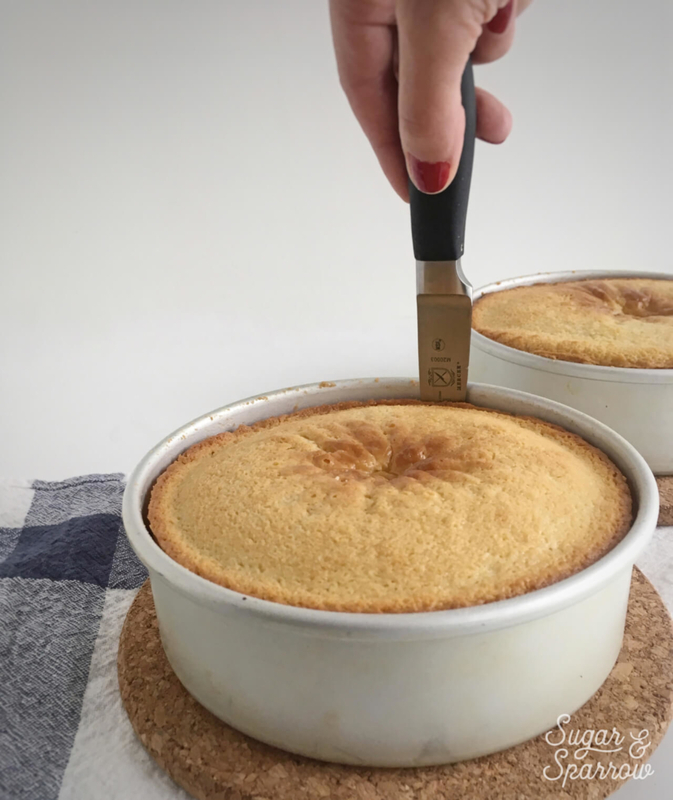 Depending on the recipe, I usually fill my cake pans ⅔ of the way full to ensure a nice, tall layer that doesn’t overflow during the baking process. After you’ve baked your cake and confirmed that it’s thoroughly baked by inserting a toothpick into the center, remove it from the oven and let it cool in the pan for about five minutes. 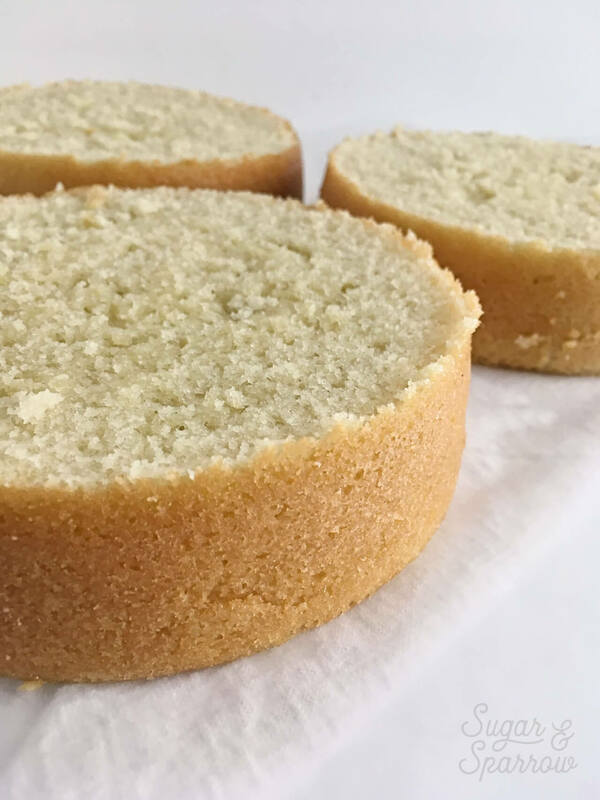 Using a paring knife, gently wedge between the cake and the side of the cake pan and carve around, making sure you don’t puncture the sides of the cake. Place something flat, like a plate or a cardboard cake circle, over the top of the cake and flip the whole pan so that it’s upside down. Make sure you’re wearing oven mits so you don’t burn your fingers on the pan! Gently slide the pan away from the upside-down cake layer. Place another plate or cardboard cake circle on the bottom of the cake layer and flip it upright. From here, continue to cool the cake until it’s room temperature before torting, frosting, or whatever you’d like to do next! Your website is beautiful and your pictures are so great! Congrats! Have you ever had any issues with wax transfer to your cakes using this method? I’ve read that this can happen if wax paper is exposed to high temps (and can also smoke!). Wax paper seems to be more available and cheaper than parchment, but I have been reluctant to use it for baking! Hi there! Thank you so much for your kind words! Next PostWelcome To Sugar & Sparrow!